I write this appeal to you to revoke the gazette notification which declares as forest area the vast tracks of traditional lands owned by the people of Musali in Mannar District, knowing that you will protect the rights of the displaced people. You have already proven this by similar actions, giving relief to thousands of war affected people, elsewhere in the conflict affected areas of the country. I support my appeal based on my intimate knowledge and personal experience about the people and the land of Musali. 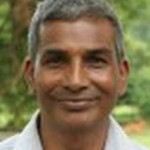 As an academic, I have written a document titled Denying the Right to Return: Resettlement in Musali South and the Wilpattu Controversy, which was based on intensive research and observation, and providing factual information about the claims made in this appeal. The people of Musali (Muslims, Tamils and Sinhalese) have been living in this area for more than 500 years as historical evidences indicate, except for a 30 year absence when they were living elsewhere, because of forcible expulsion by the LTTE in 1990. The people are peasant farmers and fully dependent on a land based economy that includes paddy, chena and cattle farming. Recently declared forest boundary denies the access and use of their paddy lands, chena lands and areas of cattle farming located in “declared forest area”. 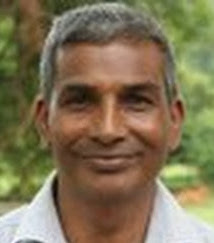 Recent forest demarcation is done in a manner that is disconnected from the historical continuity of the communities of North and South Musali, of both Tamils and Muslims. It artificially creates enclaves which would restrict mobility and social interactions of the people of the region. With the forest demarcation, returnees are living in fear as to what would be their future in a place where watchful forest guards and other security activities may take place. The forest boundary goes along the fences of the houses of the people and make them feel like living in a cadged situation. A forest reserve going along the settlement invites human-elephant conflicts closer to home. Settlers would be affected by the treats of other types of wildlife. The action by the state has already caused a negative impact on the returnees and displacement from their homes again. Future IDPs returning to this and other areas will be hampered by the declaration and implementation of the newly declared forest reserve. I would be grateful if you would kindly consider the above appeal and take a wise decision that will give justice and durable solution to the people of Musali, who have been affected by the three decade long war. There has not been any deforestation. it is only racist tv channels which misled the government and the people through manipulated drone photographs. The wildlife has ample space in the Wilpathu jungle. The people have been living there more than 25 years ago. The government should respect the Professor’s request and annul the gazette notification immediately.